Despite ongoing delays, lawsuits, and government holdups, it appears that California’s High Speed Rail (HSR) plans (and their associated stations) are ready to move ahead. Last week the United States Department of Transportation issued a “Record of Decision” for HSR’s initial 114-mile section from Fresno to Bakersfield. 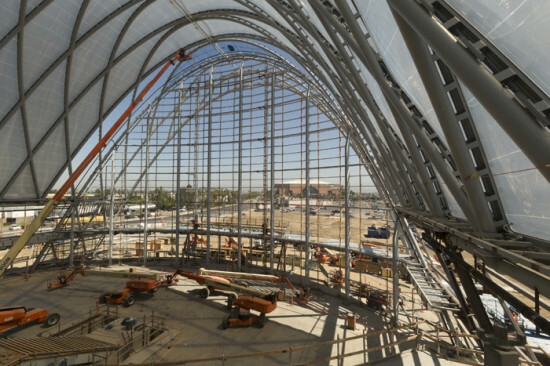 The decision, “represents a major step forward, both for the State of California and for High Performance rail in the U.S,” Secretary of Transportation Anthony Foxx said in a statement. On the state level California governor Jerry Brown earlier this month managed to secure $250 million for the project from the state’s yearly cap-and-trade greenhouse gas emissions fund. That number could total $3 billion to $5 billion in coming years. 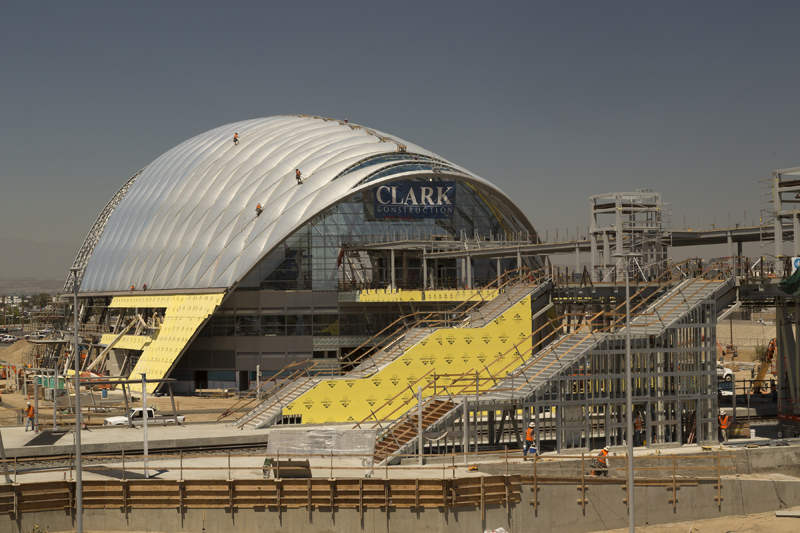 The total amount of track built in the network will measure over 800 miles. But the estimated $68 billion project is still short of the federal funding it needs, and there are a number of significant obstacles left. 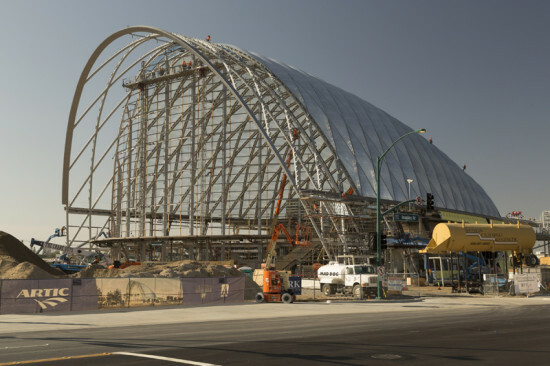 According to the Contra Costa Times, a Sacramento judge has blocked, pending appeal, the $8.6 billion in state bond funds owed to the project. 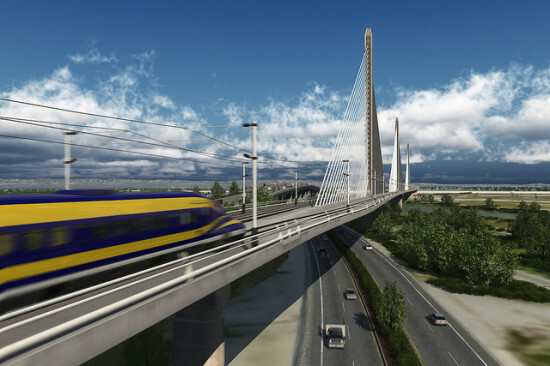 The state also owes the federal government $160 million in order to receive $3.5 billion in matching funds, and the U.S. House of Representatives has voted to block funds to the project as part of the federal transportation bill. Although that vote is anticipated to be overturned by the Democratic Senate. Still, California’s HSR stations continue to move ahead, regardless of whether the tracks ever get built. 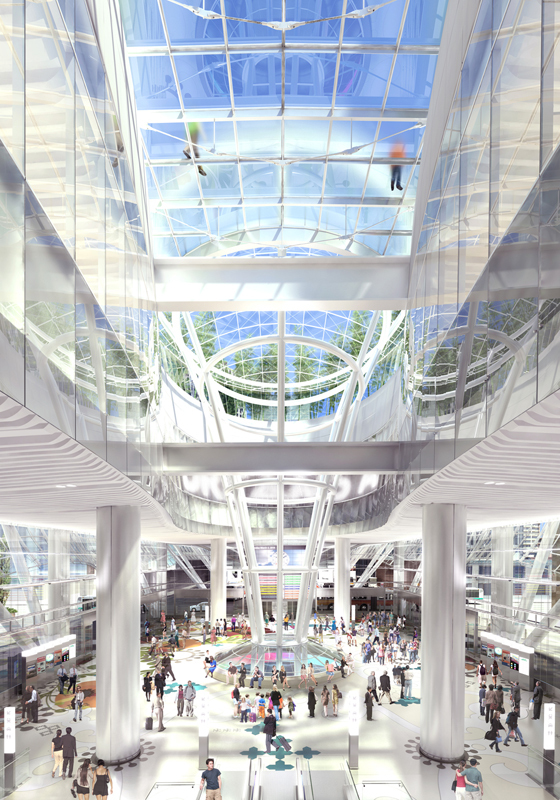 Grimshaw and Gruen’s plans to transform Union Station in Los Angeles just passed another benchmark, Pelli Clarke Pelli’s San Francisco’s Transbay Center is moving ahead as well, although perhaps without its signature rooftop park. And the furthest along is Anaheim’s ETFE-topped ARTIC station, designed by HOK and Buro Happold. 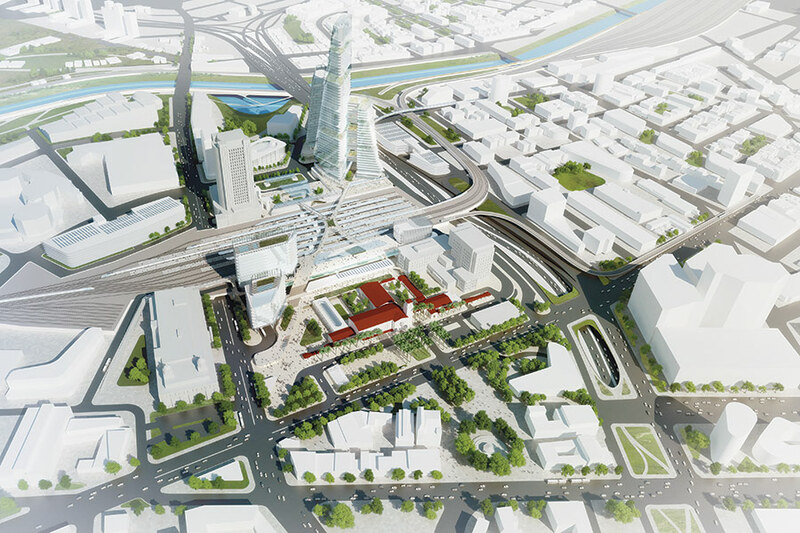 The multimodal facility combining bus, rail, high speed rail, shuttles, and more—is scheduled to be finished late this year. All of these stations will serve multiple transit functions, even if HSR never happens. But it sure would be a waste if that came to pass.